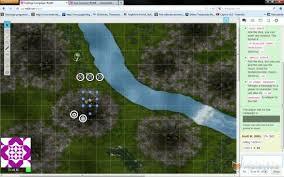 So for our Intermediate Game Design Class, in order for us to properly play test our D&D campaign that we are creating, we decided to use a tool that one of our team members recommended, from a online site called Roll20.net. It's actually a really cool tool! You should check it out if you are into Role Playing games and want to start a campaign with your friends from anywhere in the world! This tool will really help our team play test what they are designing outside of class. For now we have them scheduled every Saturday morning and afternoon for 4 hours. Let's hope people take this seriously and get some good playtesting done!